She responded, “That’s it! Let’s go tell the others!” And she did. I later thought it was odd that she didn’t say something else. “Mr. Reck, you’re not a nerd.” “…not a HUGE nerd…” “No, Mr Reck, really why?” Her actual reply would have been a great leap for many middle School students. She took a giant step right there. It really is cool to be a nerd. Being cool is basically about being comfortable being you, shortcomings and all. If you happen to be a nerd you can get into a lot of trouble trying to be something else. To bring it into better focus, this also includes being able to own up to your mistakes rather than being convinced that you do not make any. It is also incorrect (and narcissistic) to believe that you make do mistakes but that they are, of course, the fault of other people. At a Christmas party a parent told me that her daughter, after initially considering band as an elective, decided against it because, “that is a class all the nerds take.” She seemed certain (and relieved) that her daughter had avoided certain nerdness (possibly true) and that this was a good thing. (Actually and for true she said that. She truly acted relieved that her daughter had made the right choice for the right reason.) Since that time things have changed some. Thanks to a certain sitcom featuring a group of nerdy scientists and several movies featuring nerdy but lovable characters it is now somewhat more OK to be a nerd. The definition of nerd seems to evolve over time. On the other hand, being “cool” still is supposed to be good. But there are still far too many students (and even some adults) who pretend to think that being a nerd is ok when they would much rather be one of the cool kids. 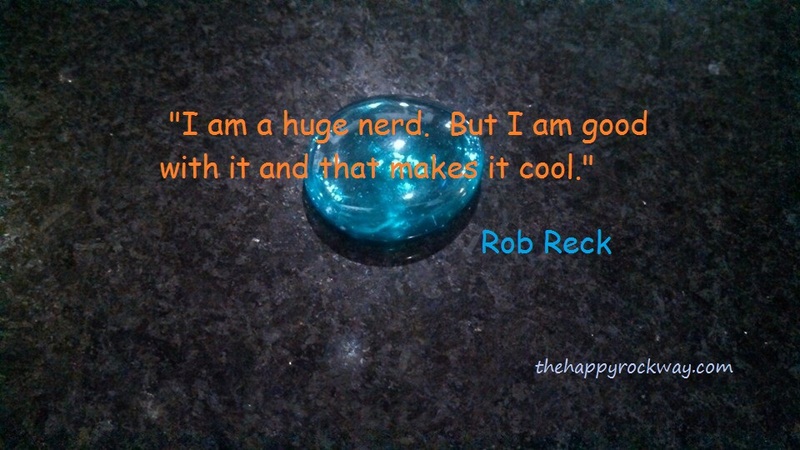 Being a nerd is just more OK for those who are not fortunate enough to be cool. But nerds they remain. They are not good with it. Back in the fifties, jeans were not allowed in many schools. Young men wore slacks and dress shirts with leather dress shoes to school. Young women wore dresses or skirts. A nerd, whether male or female, not only wore glasses, but had uncool frames that were taped together. Nerds were not just unattractive, they were also somewhat uncoordinated and they severely lacked social skills. Rick Moranis was cast as such a geeky nerd in both Ghostbusters (Louis Tully) and Little Shop of Horrors (Seymour). (I leave out this paragraph when I am speaking to middle school students. If you share this with middle school students you have my permission to leave it out as well.) I knew, as a realist, that some students in my orchestra class would be given a hard time about playing in orchestra from the social elite of their school. Sometimes they would be called dorks, which is really the same thing. Orchdorcks, specifically. So I would have a part of a class session in beginning orchestra each year about being a nerd or not and exactly what that meant. Sometimes we would even role play. The idea was to vaccinate the students against those who would try to bully them by using the term “nerd” or any other manipulative term. Most years I would have a special lesson in beginning orchestra on a day that was normally not very productive. This could, for instance, be the day after a concert or a class that was shortened because of an assembly. It was far enough into the year that students had figured out how things worked in middle school, more or less. I would make two columns on the board. (This started out as a chalk board and morphed into a white board over the years. I left before it became a smart board in my room.) One column was labeled “NERDS” and the other “COOL KIDS.” One by one I would list things students did and asked them to put them in the Nerd or Cool Kids column on the board. If I had a creative group I might ask them for suggestions. For your information, I never heard a student say that some of the things I listed of were so bad that cool kids did not do them. Basically, these days a nerd is anyone who follows the rules, shows respect, and tries to make good grades.Those are all good things, last time I checked. Even students who are socially well adjusted and have friends are still nerds by this definition. Some parents do not understand this when they hear students talk about nerds and dorks. Or geeks. Now, the next step in the class presentation is not what you might think. I avoided saying, “Oh dear, we do not want to be cool kids, do we?” Because some middle school students are still working out their priorities. I always asked them, “If you have children when you grow up, do you want them to be nerds or cool kids? They pretty much all wanted their kids to be nerds after the true nature of a nerd had become apparent. Now, to the adults who are reading this: If you think that students would rarely quit an elective in which they were successful just because someone called them a nerd then you are sadly mistaken. It is not possible to avoid this totally. But preparing students for the bullying and harassment is helpful and sometimes deprives bullies of their greatest reward, their ability to manipulate other people. After this discussion we would, time permitting, role play. I would have one student be the bully and I would be the dork/nerd. Some students were surprisingly good at this, which seemed to indicate that they could draw on their experiences with bullies. One of my orchestra students was exceptional. I later asked her privately if she had to deal with a lot of manipulation and head games and she answered in the affirmative. Our game was simple. The bully would come up to me and give me a hard time about being in orchestra. I would stand up tall and answer them firmly. Bully: Orchestra is a big nerd class. Me: (Standing tall and facing bully directly) Some of us like it. A lot. Sometimes the class would actually clap. Most students were quite speechless because I was so direct. I would explain that if you spoke softly and looked at your shoes you would not get far.Bullies are often so used to people caving that they don’t know what to do if someone is more direct with them. I also explained that sometimes if you act with confidence and assurance some bullies will pick another person rather than risk being verbally humiliated in public. Some of you will have, of course, figured out that this is about more than just retaining students in the music program. The ability to stand up for what is right is a life skill. But it does sometimes make a student a lot happier about taking a fine arts elective. Be a nerd and be proud. And pass on the secret. As usual, I reserve the right to revise and extend this post. Previous Article Be Your Own Kind of Awesome! Next Article How to Make Things Get Worse – or Better: Learning to reduce self-inflicted problems. It just seemed like time to remind everyone about this.